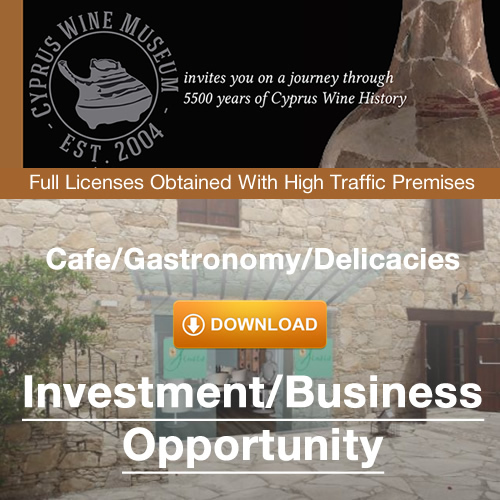 The Exclusive Museum Lines of Products of the Cyprus Wine Museum Senses features the Commandaria Line. 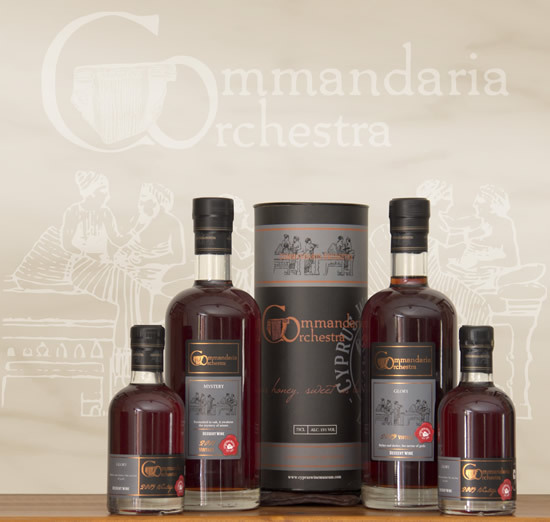 The first release of the Commandaria Line was with ‘Commandaria Orchestra ‘Glory’ Vintage 2009′. Very limited quantities available for sale under special request. The second release is ‘Commandaria Orchestra Mystery’ Vintage 2011′. Commandaria is a romantic, noble wine, whose life is so long-standing as of no other wine in the world. Originally known as Nama, it takes its name from La Grande Commanderie de Chypre (Kolossi Castle) the headquarters of the Knights of the St John Order. 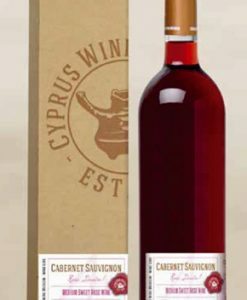 The “Sweet as the lyre of the Muses” wine of Cyprus, praised by Homer, is resulted from the sun-dried indigenous varieties of the white Xinisteri and the red Mavro. A harmonious burst of aromas and amber highlights evolve within the oak. 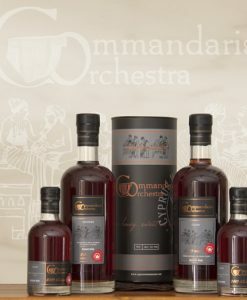 The Commandaria Orchestra (Dessert Wine) is created exclusively for the Cyprus Wine Museum Senses for a memorable journey into Cyprus 5500 years of wine making history. 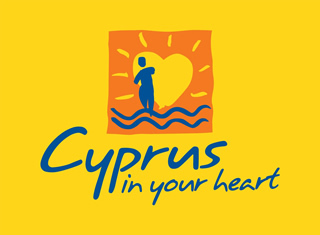 *PLEASE NOTE WE ONLY DISTRIBUTE TO THE REPUBLIC OF CYPRUS.